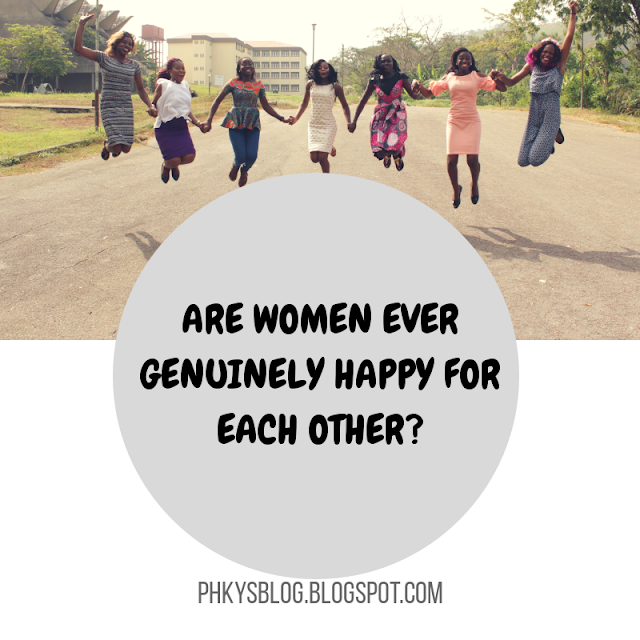 Home Lifestyle Motivation ARE WOMEN EVER GENUINELY HAPPY FOR EACH OTHER? ARE WOMEN EVER GENUINELY HAPPY FOR EACH OTHER? Why is it so hard for some women to be happy for another woman’s success? Why do so many women find it hard to say anything pleasant or complimentary about other women or their achievement? My very first post on the blog I STAND WITH EVERY WOMAN had me talking about my support to every woman out there. You know why? It because I experience the struggles daily and I have decided to be different. In a world full of hatred and deceit I choose to be loving and truthful. Most times I sit back and just think about all the hate and unhealthy rivalry we have among each other. I know if we channel those things to the right places women will soar far better. As human beings, we are naturally designed to be in constant competition with one another. But there is a difference between healthy competition and over-competitiveness which could lead to jealousy, envy and ultimately bitchiness. Women are obsessed with checking out their competition to see what designer clothes and handbag they are wearing, if they have on the latest Brazilian hair, their figure, good grades, booming career, signs of a wedding ring and lot more. I feel like women do dress in preparation to defeat their competition in the silent ‘’who-wore-it-better’’ war. A perfect example here, is our ‘’owanbe’’ party culture of weddings, birthday, etc. where a specific fabric, Aso Ebi, is distributed prior to the event, and everyone is left to design their own style. In the past, traditionally for the yorubas, men will sew Agbada and Fila(cap), and women, Iro and Buba. Today men still wear the same outfit. However, for most young women, simple Iro and Buba would not just cut it. At the parties you see all sorts of fashionable, funky outfits on to women, to the point that you would sometimes question if it was the same fabric we all used. 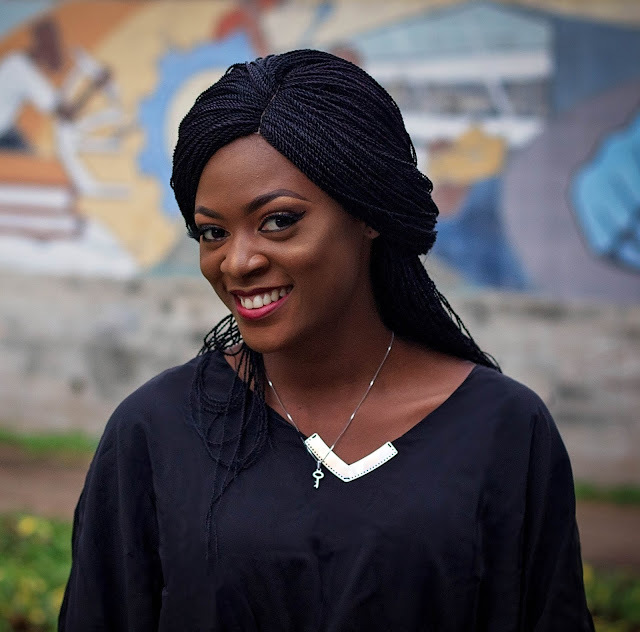 The Aso Ebi craze, the mad rush to sew the most dazzling outfits, the frenzy some women demonstrate in trying to be the best dressed at any party, heightened by our society’s obsession with glossy pictures of society events on social media and magazines, perfectly demonstrates the natural competitiveness of women. The most interesting thing about this competition between we women is that it is very silent. Sometimes when a woman just wants to share her accomplishment, other women could perceive it as an egoistic attack, when it wasn’t the woman’s initial intention. This is when the cattiness may begin to kick in. I won a beauty award in my class and I heard some negative comment from ladies saying ‘’she did not deserve it’’, at first I was mad with fury but guess what? It was a female classmate who helped me canvass for vote and I was more than grateful for that. I put myself in their position and I felt I would have been jealous too and probably passed a negative comment. I could go on and on about my experiences with women, trust me not all are pleasant. But hey, its not meant to be so. I need you to understand that we all have our moment to shine. Good things will definitely happen to each and every one of us. At different times. That sometimes it will be others turn to shine and other times it will be your turn to shine. So why won’t you allow another woman to have her moment in the spotlight. Laura Ikeji the owner of Laura Ikeji store and Author How to make money on Instagram said ‘’50 million people can do the same type of business. The sky is big enough for everyone willing to shine.’’ So don’t hate that woman because she is doing very well in her business/ career/ field and you are not. Her booming business/ career/ field doesn’t mean yours will be stagnant. Keep working and you will be celebrated too. 1. If you support, encourage and champion other women, you will find that more women will champion you. 2. If you try and boost a woman’s shine by celebrating her life or achievements, your shine will continue to shine, probably even brighter than before. With a dose of testosterone-driven self-confidence, women would not need to feel so insecure that they have to compare themselves to others and sometimes go out of their way to make their competitors feel bad about themselves in order to better their own self-esteem, and assure themselves that they are doing well. Competition is a natural thing, but like everything in life, a balance has to be made. If we could all be genuine and more sincere in our interactions, this, combined with a good dose of compassion for others, would prevent our competitiveness from overwhelming us and others in unnecessary shows of bitchiness and cat fights. Don’t blow another woman's light out, it wont make yours shine brighter. I stand with every woman. Lol. The beef and competition is real. You havent seen anything. I thank God you also see things like this happening, i was beginning to think i was the only one. Anyhow, i wake up and tell myself everyday that"the world will never make me a bitter, envious, unkind or malicious person" i will remain sweet and child hearted. Its really sad when i see the way we ladies treat each other. Thanks for this article. You made sense. Humans are, naturally, insatiable, but there seem to be a particular wiring in the women, ladies' system that pitch(es) one against another. But overcoming it and supporting each other's course will just make the world a better place for everyone. It's a step to a better change for the world that we all must embark on. God bless you more with deeper insight and wisdom. Amen. It really is a step we must take and imbibe in our words, deeds and actions. Thank you so much Joshua, its always good to read from you. Hahaha... guys have not been vindicated, I'm still coming for you people. Anyways I agree with you. Taking charge of your thoughts...hmmm I might just consider writing something on that. Thank you Victor. Its really nice to read from you again.